I don’t see that as insulting. It’s Loss Prevention and is common practice in many retail stores. But thats why there’s competition. Some people prefer to not leave their bags at the counter, and Best Buy takes the risk of theft to make a few customers more comfortable. Power to them! But props to CC for helping to fight theft. Unfortunately a few bad apples ruin it for the rest of us.Theft raises prices for us all. They are indeed generally that helpful Tom. Sadly, you can often get similar treatment at Best Buy, which I think is why CC is still in business. Best not ever do any shopping in China. All department stores force you to use their lockers for your bags or tie plastic bag with security ribbon. On my most recent trip into NYC, some electronics boutique wanted me to check my Bihn bag up front. I asked for a security tag instead and they clipped it onto my bag which meant I had to stop to have my bag opened for the tag to be removed before I left the shop. I used to work for MARS Music and occasionally had to work security where upon I would have to ask people to leave their bags with me. Having been in that position, I can say it’s not really fun to be the guy who has to make that request of customers. That being said, I couldn’t begin to tell you how much it doesn’t really detour theft. We constant had guitar strings, cables, and other somewhat small objects “lifted” from the store. One guy even tried to make it out with an entire guitar. I get the loss prevention argument, but if someone is going to steal, they’ll steal. After reading your post I agree. If stores in Ireland started doing this my immediate reaction is an about turn out the door. They are not getting my business. That’s not even getting me started on the annoying CC and BB stafffollowing you around the store. If I want help I will ask thanks. I’ve only ever had it happen in Spain – 3 different shops in and around the Orihuela area, but I’ve not been outside Europe 🙂 Very annoying. In portugal they staple or seal your shopping bags when you enter a store. I am sorry that you felt insulted by that experience. 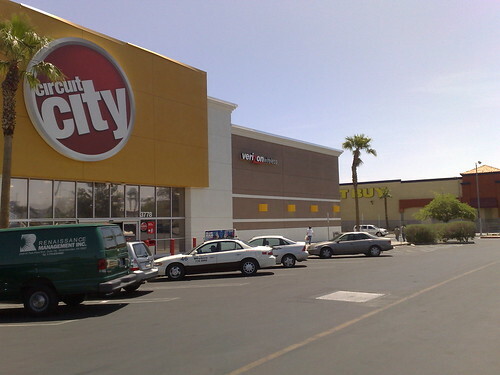 I actually do some work with Circuit City, and I encourage you to contact them at consumer_affairs@circuitcity.com. They are focusing on improving customer service, and you can usually get a response pretty quickly. Its common in Poland when you go to stores to have any of your bags sealed in a transparent bag. But you can walk around with it no problem then. I have seen this in France too. I do contract IT work for Circuit City stores for the last 10 years. That is usually a level 3 store with a lot of theft. Some stores ask to check your bag and some just let you go into the store with out any interaction. There problem is that they have cut staff to the point that there are very few associates on the sales floor to interact with customers. When I leave the stores, being a contractor, They completely go through my laptop bag and tool bag. They also go through the employee’s purses and bags. I suspect that many of these policies are either enforced or not enforced depending upon the whims of the manager, or perhaps of the employee on duty. I hope you thanked the Best Buy people as you left their store. Considering the fact that even if a shoplifter gets caught; if you involved the police in a busy city (or anywhere in the UK) then the store would probably have to wait an hour for a police officer to turn up. Then they ‘may’ be taken to the police station, where someone would give them a caution. Doesn’t really deter shoplifters does it.. Anyway stores should have a policy; where there are lockers at every store front. If someone does not want to use that, then they should be told there bag will be searched on leaving..
Today i went to circuit city too. But it didn’t happen to me. But, it is a different store. I do not consider it insulting. As it was said earlier, it’s common practice for most retail stores. The level of theft in such stores is high and such measure is just a way to prevent theft. And not only to prevent theft, it’s a security measure, which also helps to prevent acts of terror. If you are unwilling to leave you bag, in some stores you can take your bag with you sealed in a transparent bag. Unfortunately, not all stores offer such service, but still it’s available in some. Would all you anti-theft apologists have a problem with a full cavity search in an airport. Why? Just to prevent drug smuggling. The only policy a store should have is “an amazing customer experience policy”. My brother just had the worst experience with CC. He took his laptop in because it stopped recognizing wireless Internet. They took his computer, said he’s have it back in 4 days. Well, 4 WEEKS later he had it back. When he went to pick it up he told him they didn’t give him his power adapter back. They accused him of lying about dropping of the power adapter when he dropped his computer off weeks earlier. They even went back and checked the freaking surveilence camera – sure enough, he had given them the adapter. They then conveniently “found” it and gave it back to him. Well in France, you find the two. Some trust you, others don’t. But you are the customer…and have the money. Brands and companies must definitely understand that. And, we can ear anything, but there’s a way to say it…Be care of consumer today, build business of tomorrow. I’ve had almost the same situation. I have a veryyyyy short hair. I’ve walked thru the store for about 30 mins and when I was heading to the exit, they stopped my without a good reason and started to goin’ thru my stuff me, like I was a thief. I was angry because that electronic gate haven’t beeped at all, so why did they stop me? I’m sure they think when someone is bold and tall, ain’t handsome and have a rucksack is a bully or whatever. Re: And if so, how are they still in business? Obviously you’ve never worked Retail in your entire life, so let me break this down for you. In stores such as Circuit City, Best Buy, Target, or anyplace where expensive items can be small and easy to conceal, bags were found to be thee main tool for external theft, it’s quite easy to pretend like you’re shopping while you slip something into your bag. when a store loses a 50 dollar product, it costs roughly 50.00 x10 to make up for the loss, more often than not the loss is never made up, if a store continues to lose product it will eventually lose it’s budget, which means less products, less hours for employees, and worst case scenario the store location closes because the store cannot make it’s budget to keep it’s doors open. You shouldn’t be insulted by something so small as asset protection, besides i’ve left my bag up at the customer service counter many times at my local circuit city, never have i ever encountered problems. Heh. Guess it’s moot now since they’ve gone belly up. Circuit City has very rude clerks. Their loss prevention officers themselves – or at least whoever is posted at the doors – seem fine. I have at least twice had these silly clerks follow me around and on one occasion ask me how I opened a memory box that they claim I would have needed some sort of “key” to open. I had no idea what the idiot was talking about. I am GLAD these idiots at Circuit City will all be out of a job soon. They deserve to be unemployed.